Beginners jewellery course: Forming techniques to make pendants, boxes and other hollow forms. Beginners jewellery course: Making pendants, beads and other hollow forms. – On this beginners jewellery course you will make 3 pendants using hollow forming techniques. Through these fun, set projects we show you how we create interesting 3D shapes from sheet metal. Also you will have opportunities to explore metal texturing using everything from hammers to feathers! In this way we support you to develop sound technical skills while also encouraging experimentation and design development. You will learn how to manipulate sheet metal to create interesting, three dimensional forms. In the first instance you will make 3 pendants. Then once you grasp the concepts of forming you can apply these techniques to create more complex jewellery items like bangles, cuffs and collars. Our beginner courses always provide a solid grounding in the core jewellery techniques we employ when designing and making jewellery. These skills include design, texturing, cutting, filing, drilling, shaping, soldering and polishing metal. To finish your jewellery we’ll show you how to make jump rings and other attachments. What will I make on this course? We present the course in 3 projects that progressively build on your jewellery making skills. By the end of the course you will have made at least 3 pendants, and there should also be time to use your newfound skills and knowledge to design and make an additional piece, perhaps in silver. 1 – Design and make an elliptical pendant with a pierced pattern. 2 – Use folding techniques to make rectangular pendant with textured surfaces. 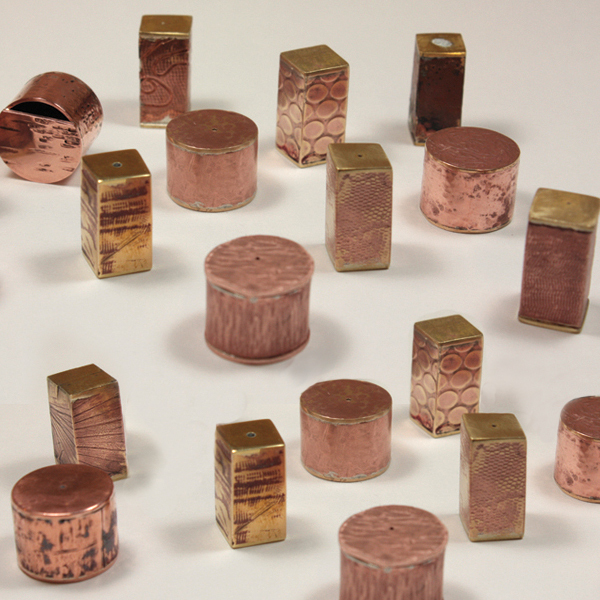 3 – Make a small cylindrical pendant using contrasting metals like brass and copper. By the end of this course you will know how to design and make an item of jewellery from sheet metals like copper and silver. Additionally you will know how to apply texturing techniques to add contrast and character to your designs. You’ll also be able to use a range of soldering and forming techniques to create light, hollow forms like beads and pendants. Furthermore you will have a beginning understanding of the spatial and technical issues we need to take into account when designing and making elements that fit together (ie the lidded box).